Your questions on how your product will feel and look once finished are answered by the appearance prototype. An appearance prototype is usually the physical representation that looks and feels closely like what your final product would be once put into final production. Appearance prototypes often do not function the way the final product would work, just like the presentation prototype, they both are merely made in order to show the stakeholders, the designers and the media on how the perceived design will turn out to look in the end. 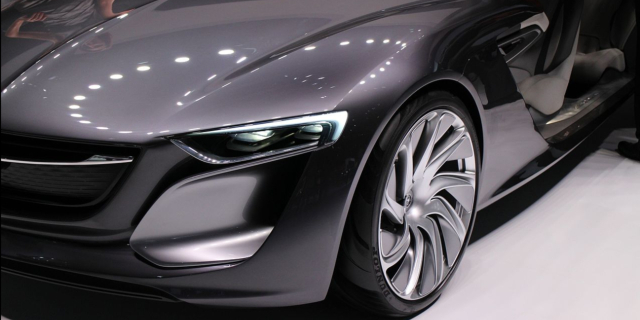 The appearance prototype usually does not have movable parts or inside of the structure, for example, an engine or a drivetrain in a car’s prototype. With the rise of the prototyping technologies, the use of CNC machined and 3D printed parts are now heavily used in appearance prototyping in order to make the prototypes as close as possible to the actual product. 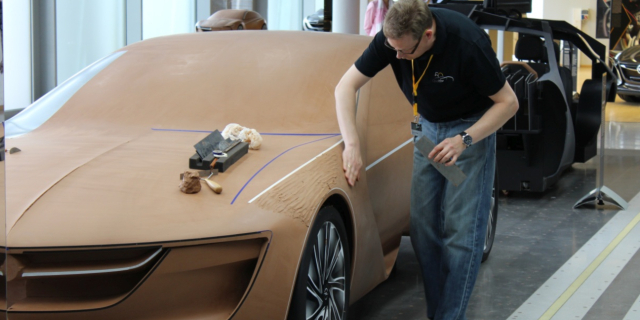 The materials used at this stage include 3D printed plastics, CNC machined RenShape, solid wood, clay, medium density fiberboard (MDF), sheet metal and paint. Appearance prototyping is part of almost all the industries and before the launch of new products in the market, appearance prototyping is effectively carried out. Here are some of the well-known industries that incorporate this prototyping phase more commonly as others in order to generate revenue, public interest and to satisfy the shareholders. The CNC machining and various hand modeling techniques are heavily incorporated in the automotive industry in order to come with precisely engineered prototypes in order to create the models as close as possible to the approved designs. With new models of cars being displayed at major motor shows in order to evaluate the market demands and to gain media attention, fine details of the exterior are being carefully worked upon by companies. 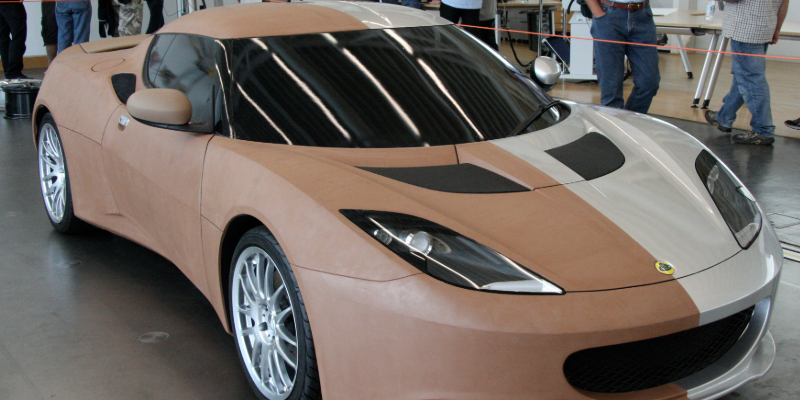 A mixture of hand and CNC clay modeling technique is one of the most commonly used techniques in the automotive prototyping sector. Since the prototypes need to grab the attention of the investors and the prospective customers, the appearance prototype is made sure to ‘WOW” its viewers. Such levels of details can be achieved easily via CNC prototyping. 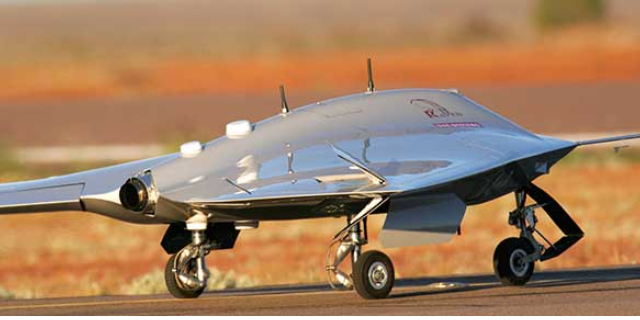 UAVs have been on the boom since the past 2 decades and so is the technology that is involved in manufacturing them. UAVs, especially for the military uses have to go through intense biddings from different contractors therefore, each contractor makes sure that the appearance prototype is both eye-catching and finely machined to meet the customer demands. In order to do so, autoclave prepreg materials and CNC machining with low-cost cutting tools are used in order to keep the prototype under budget as well as striking enough to make a deal. CNC enables the companies to spend more of their time designing the product and less time on prototyping thanks to modern rapid prototyping techniques. All the industries need precision in their product but it is a bit more important in the aerospace industry as opposed to other industries. Small deviations in the precision of the aircraft fan blades or small missing out of the screw of the landing gear can make the air travel a lot more dangerous. Therefore, in order to obtain supreme precision and time-effective production, CNC is one of the main techniques in both the prototyping and the manufacturing of the aircraft. Modern aircrafts such as Boeing 787s and Airbus 350s, all use high surface CNC polishing followed by layers of paint coatings in order to prevent corrosion on their prototypes. These prototypes are then used to fly in international airshows demonstrating the aircrafts’ capabilities and performance. Along with the manufacturing of airframe and avionics of the aircraft, the interior is also carefully planned and prototyped. The cabins are what makes airlines great and each and every airline tries to get the best out of their interiors. In the initial offerings made to the public, especially during mock-ups of the cabins of new aircraft, all sorts of prototyping techniques are used to make appearance prototype as appealing as possible. With the launch of new products and prototypes every year at Consumer Electronics Show (CES) in Las Vegas, we tend to see beautifully crafted mobiles and laptops with every passing year. Each of the appearance prototypes is a result of incorporation of different rapid prototyping techniques such as 3D printing and 5-axis CNC machining and polishing. The precise engraving of the name and initials of the brand and model numbers are all carried out via laser printing and precise CNC machining. Heavy and light, small or big, all the equipment involves the use of CNC machining in one form or another. CNC plays a critical role in the construction of the major components of heavy machinery prototypes as this method of prototyping is both time and cost effective. The textures and size of nuts and bolts, the design of crowbars, blades, hammers are all result of equipment and tools that CNC machining helps to create. Once the prototypes are approved, the final production takes place which also relies on heavy usage of rapid machining and production. With the demand for appearance prototyping on the rise and Wayken establishing itself as one of the pioneers in the country for prototyping, we are your number one solution to all your prototyping needs. Wayken excels in Plastic Prototype Machining, CNC aluminium machining, clear optical prototypes, and low volume manufacturing. At Wayken, we prototype your ideas into realities and make your products come to life. We openly invite you to book an appointment at Wayken and see your ideas lift off the ground in no time. Good products require great prototyping and that’s what we are here for.